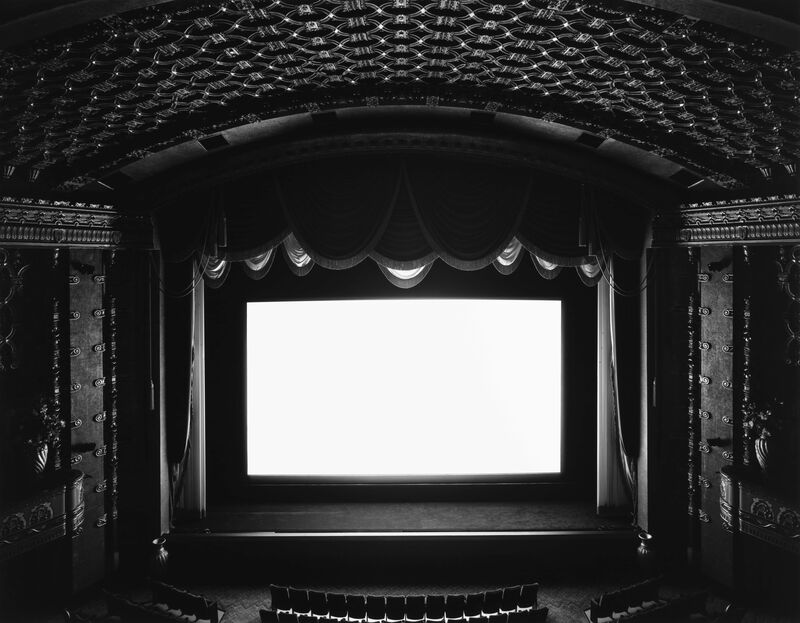 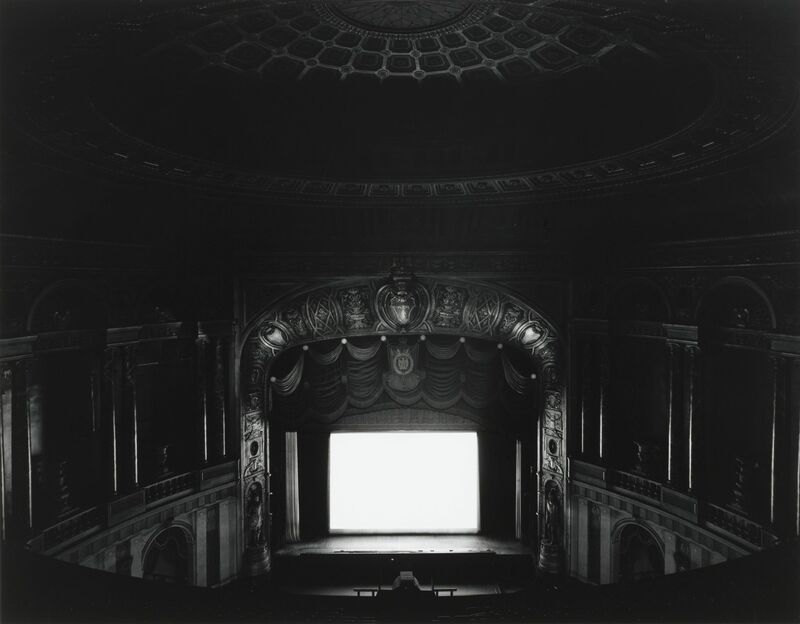 What is Hiroshi Sugimoto's photography project Theaters all about? 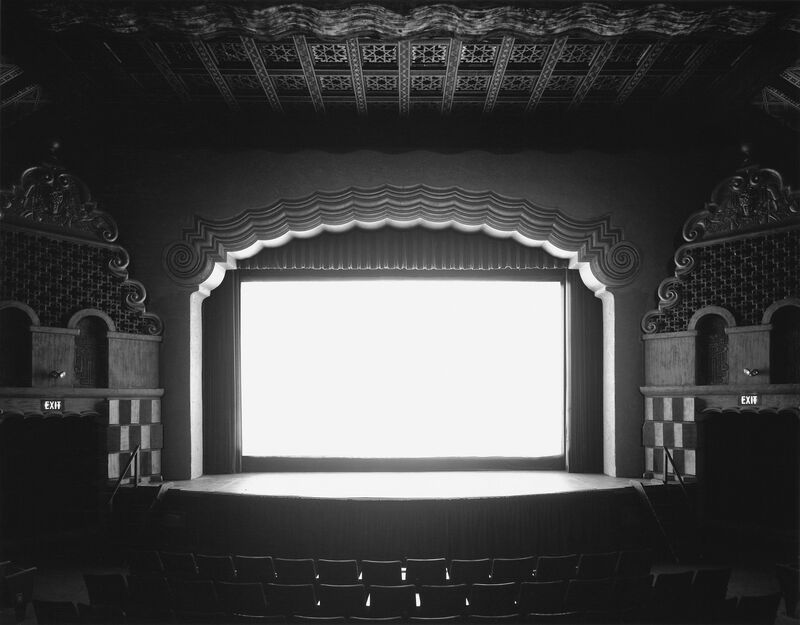 Hiroshi Sugimoto was born in 1948 in Tokyo but later moved to Los Angeles to pursue photography at the Art Centre College of Design. 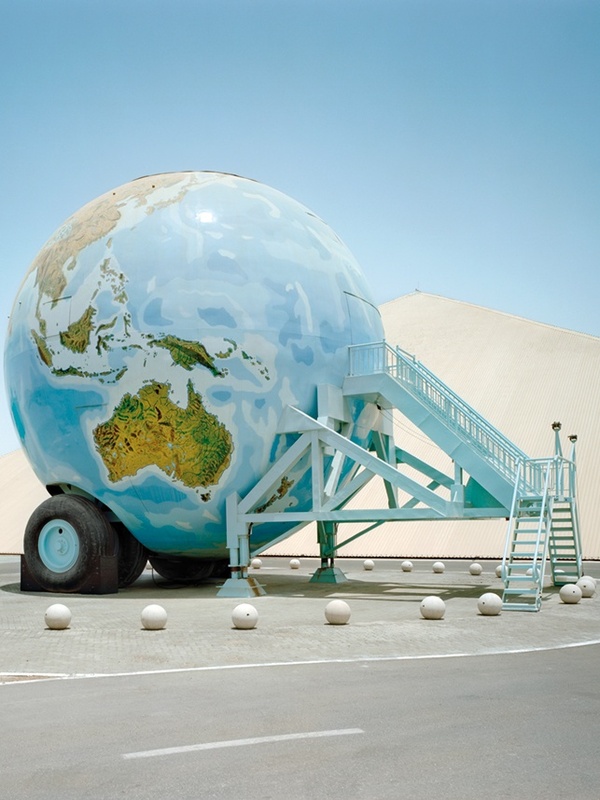 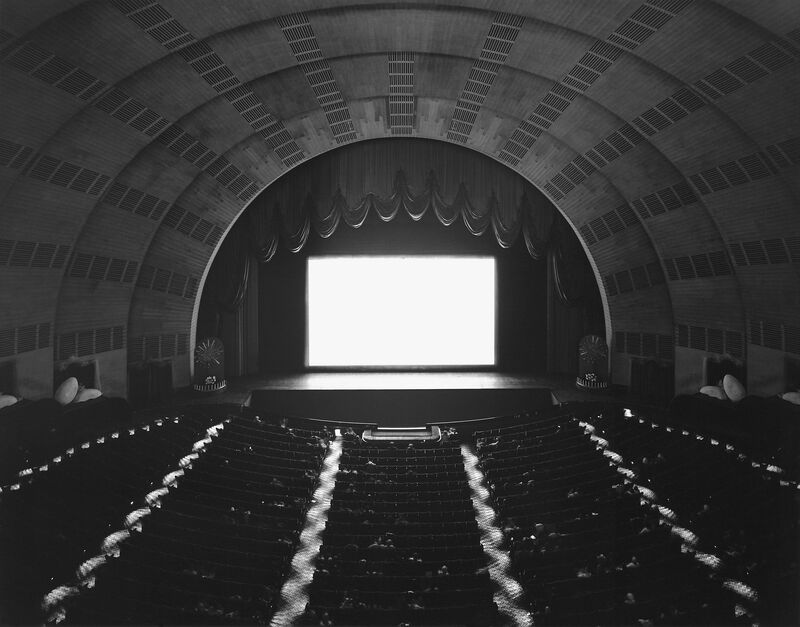 He settled in New York, where he soon began his study of conceptual photography. 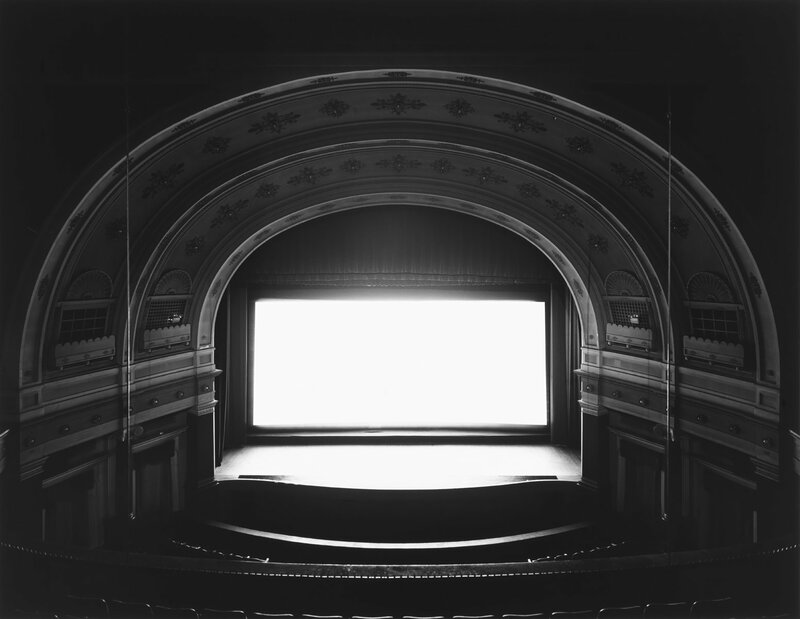 Hiroshi Sugimoto has over the years become one of the most critically acclaimed artists and photographers of his generation. 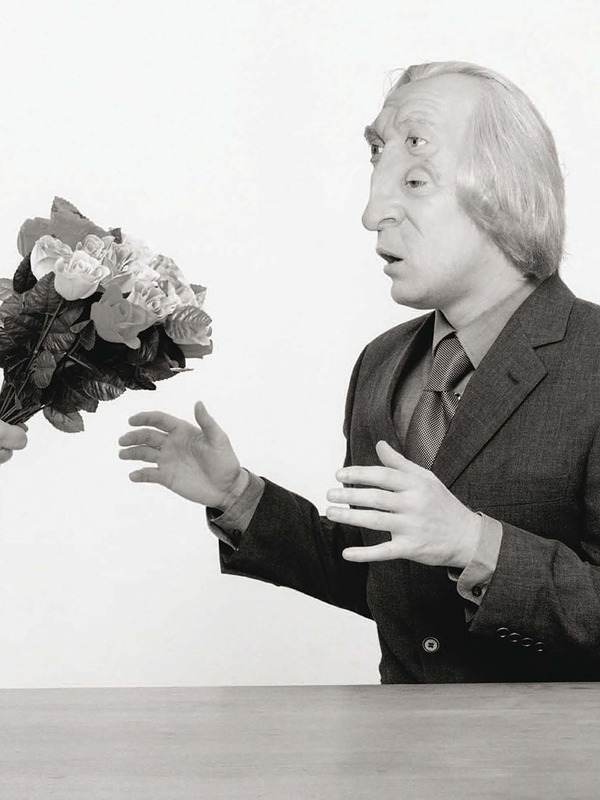 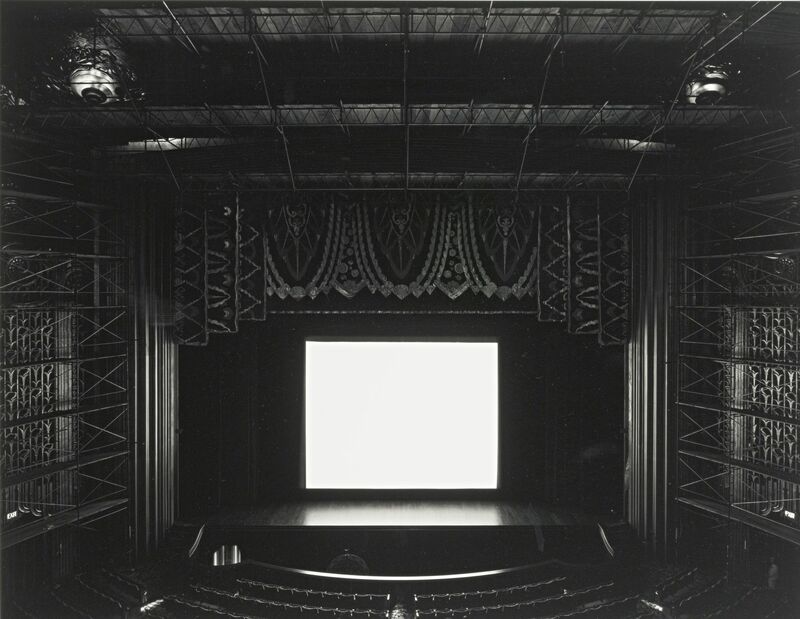 In the 1970s, Sugimoto was heavily involved with the minimal and conceptual art scenes in New York. 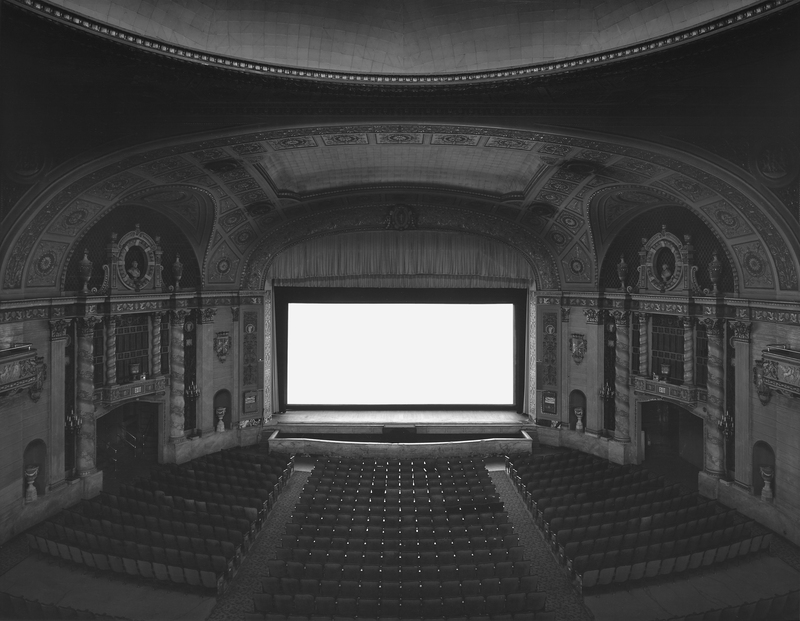 During this period, he would use the camera as a way of engaging with various concepts around him, and it is this involvement that influenced his style. 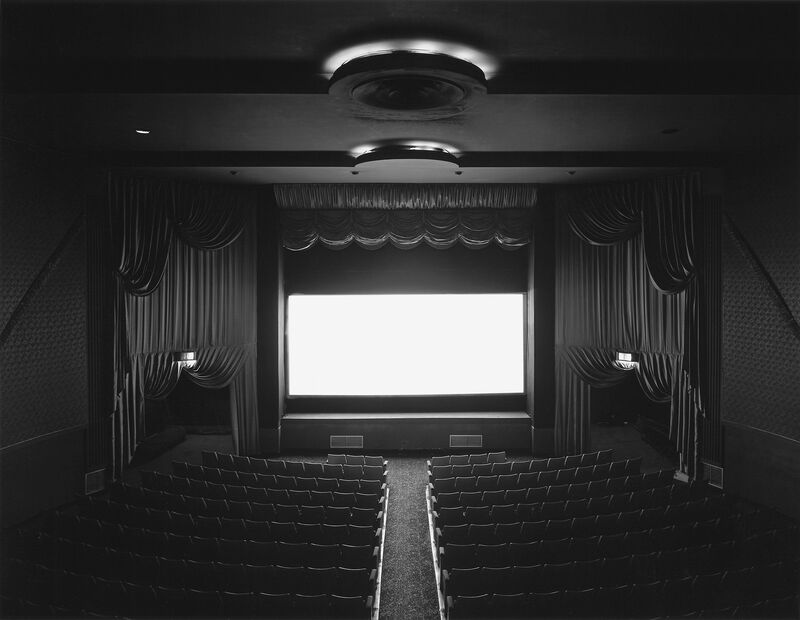 It is also what allowed him to explore photography further beyond its obvious documentary uses. 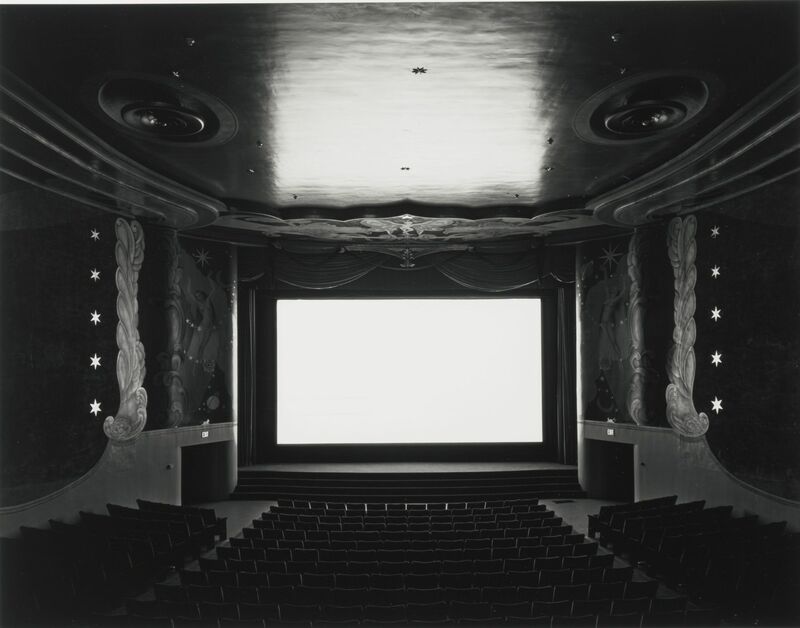 Through his precisely balanced images, Sugimoto’s best-known works are inspired heavily by repetition, having worked on his body of work that features photographic illusions for most of his career. 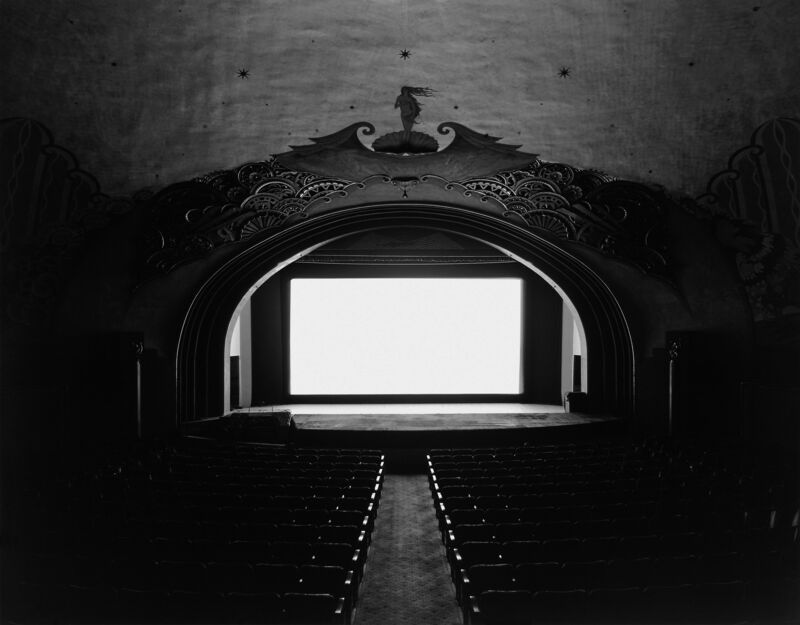 Today, he is best known for his photographs that consist of black and white photos of classic movie theatres built in the 1920s and 1930s, as well as the ruins of abandoned movie theatres in various American states. 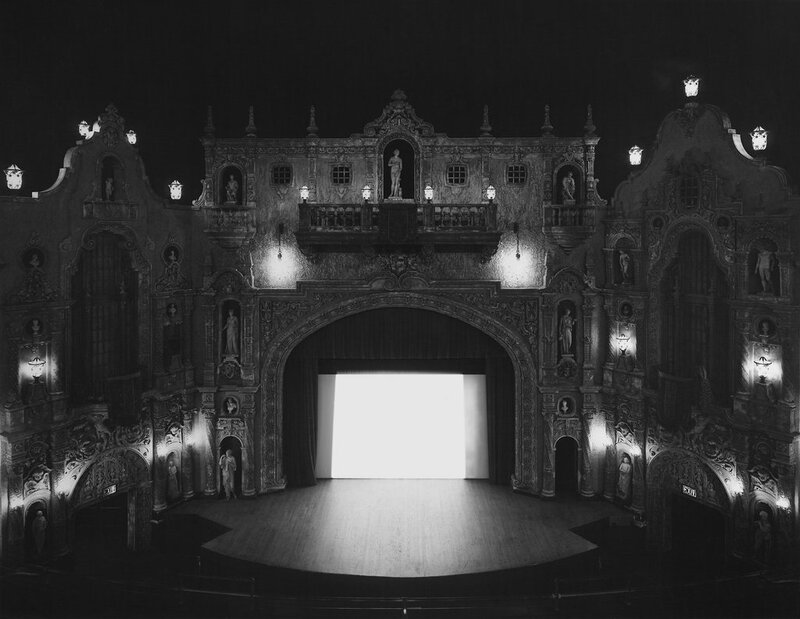 Theatres drew upon repetition and was characterized by the utilization of black and white film, analog processes, as well as long exposures. 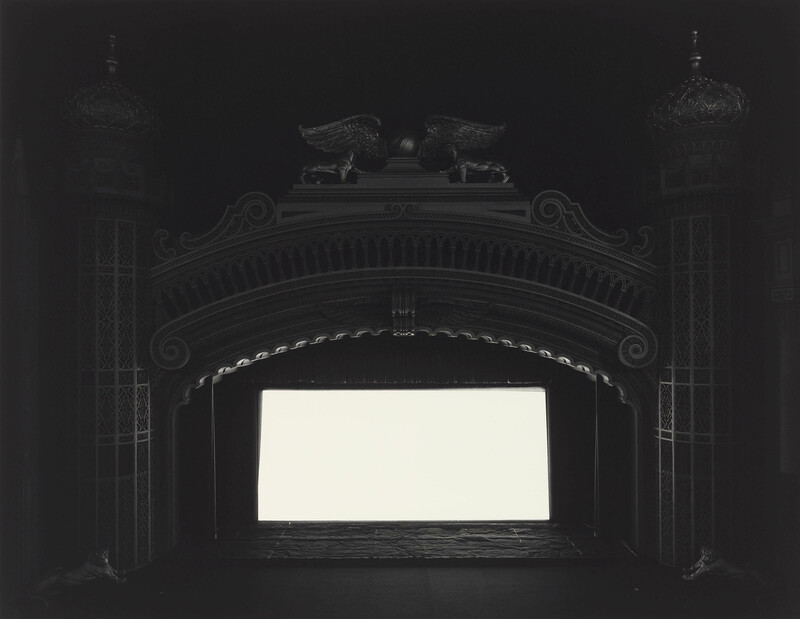 The lighting, the gleaming white scene that looked like a portal from another dimension, as well as the objects in the images are some of the components that helped to give the popular series a surreal appearance. 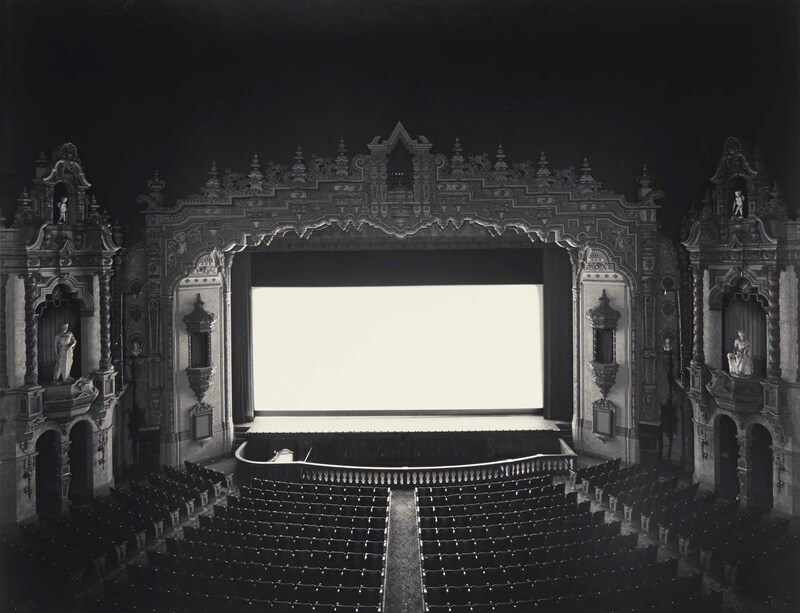 For the series, Sugimoto photographed more than 100 movie houses and drive-in theaters over a period of four decades. 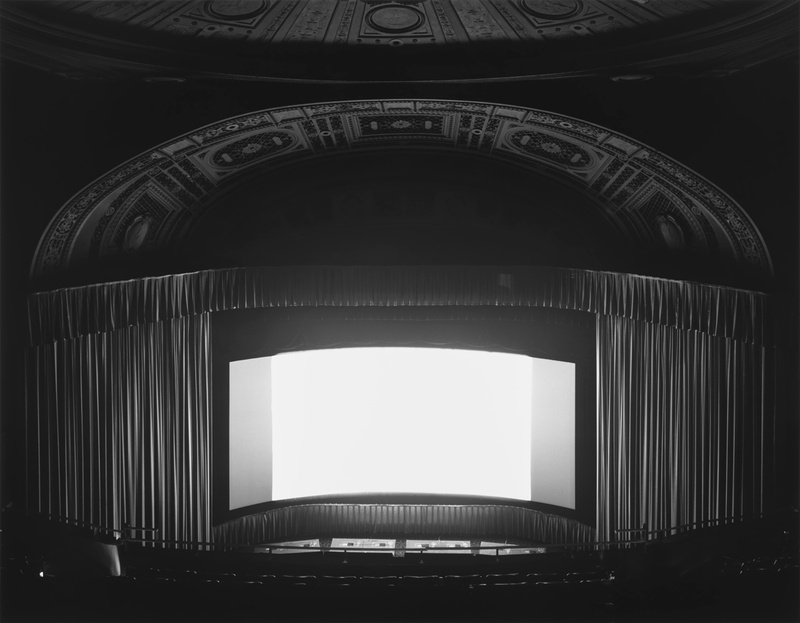 In the past few years, he started taking photos of Italian opera houses and abandoned theaters, thus expanding the existing project. 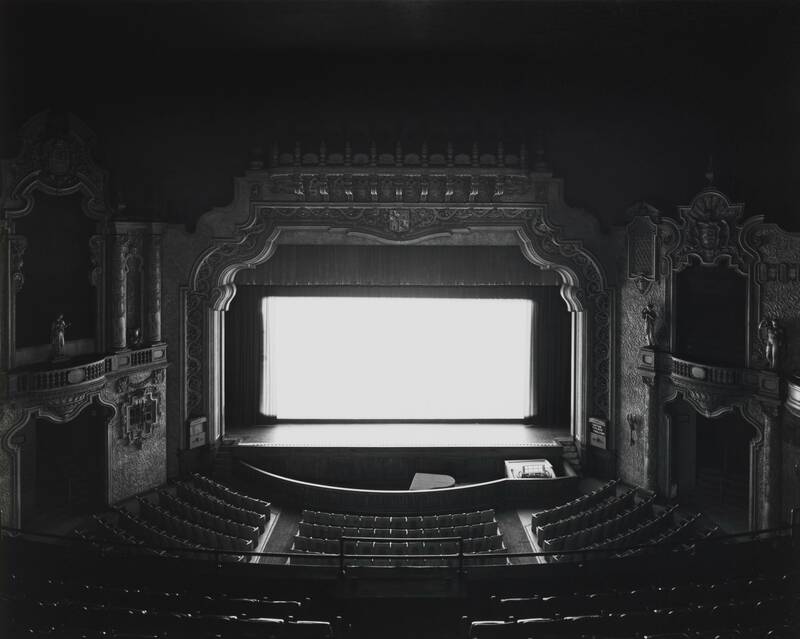 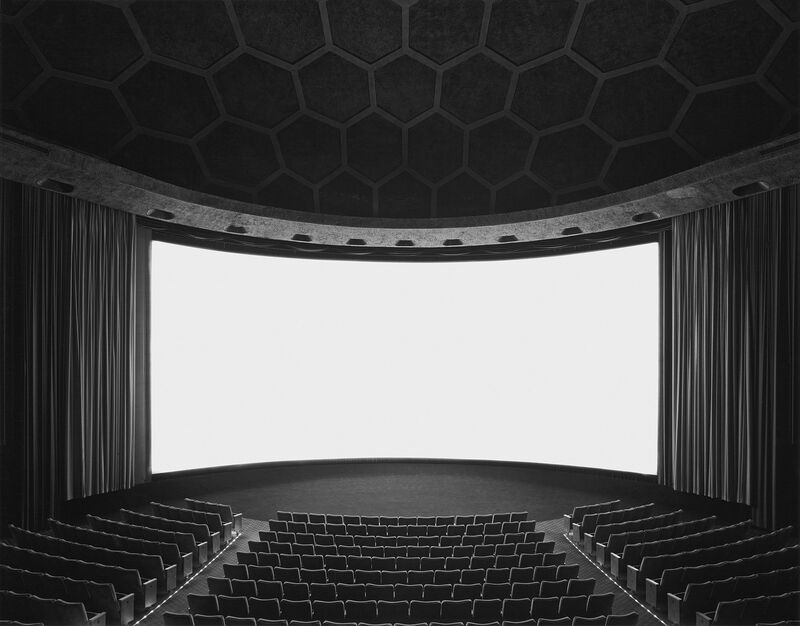 Sugimoto created the Theatre series in 1978 by photographing old American movie theatres and drive-ins. 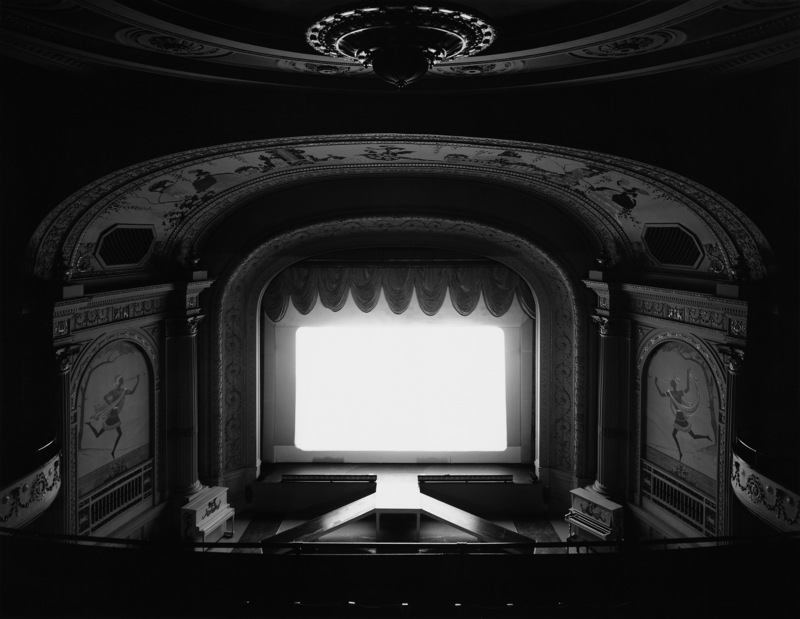 He was only 28 years old then and had been working on projects that make exposures of varying durations for some time. 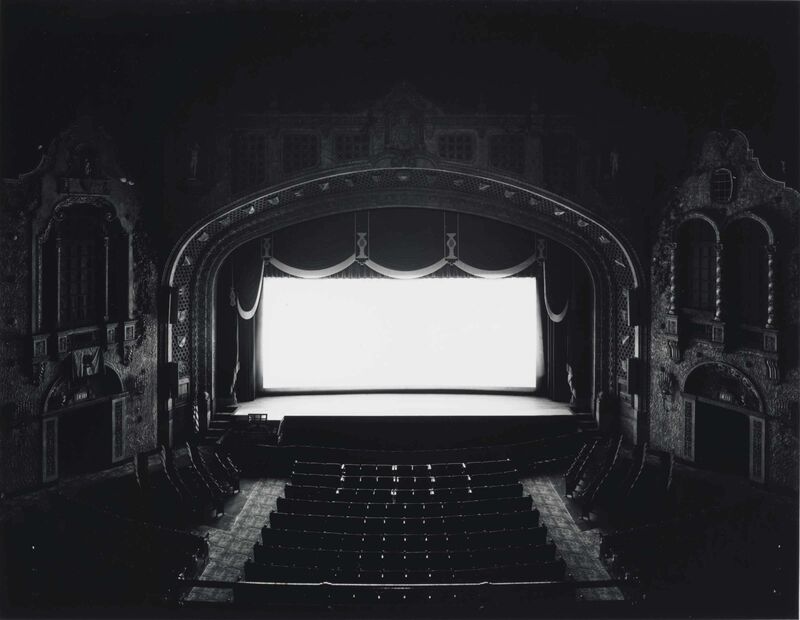 Using his large format camera and the projector of the running movie as the light source, Sugimoto would capture entire films in a single still. 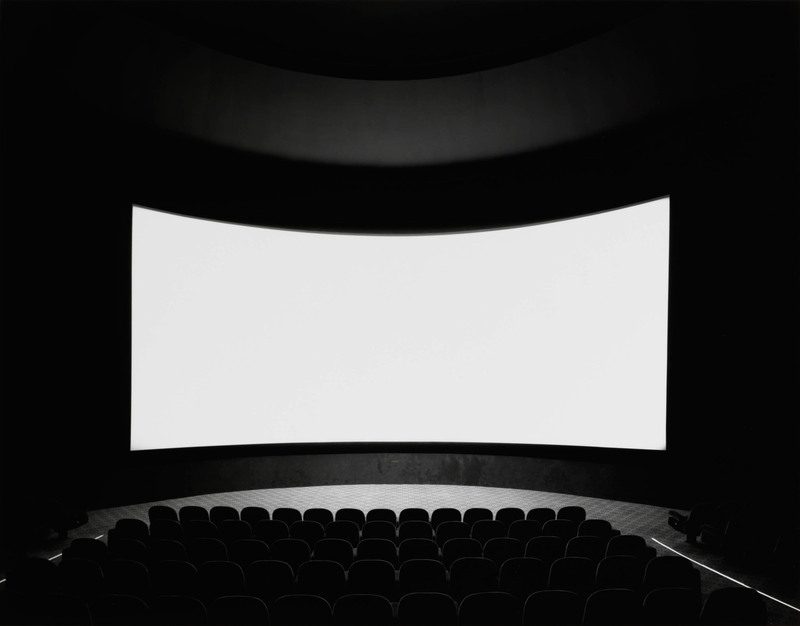 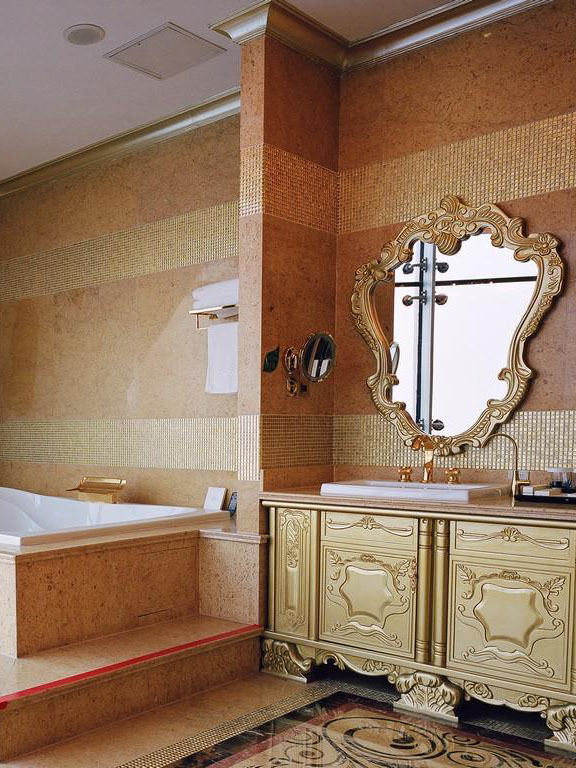 The result of each full-length movie was a luminous white box that gently displayed the architectural details of all the spaces he photographed. 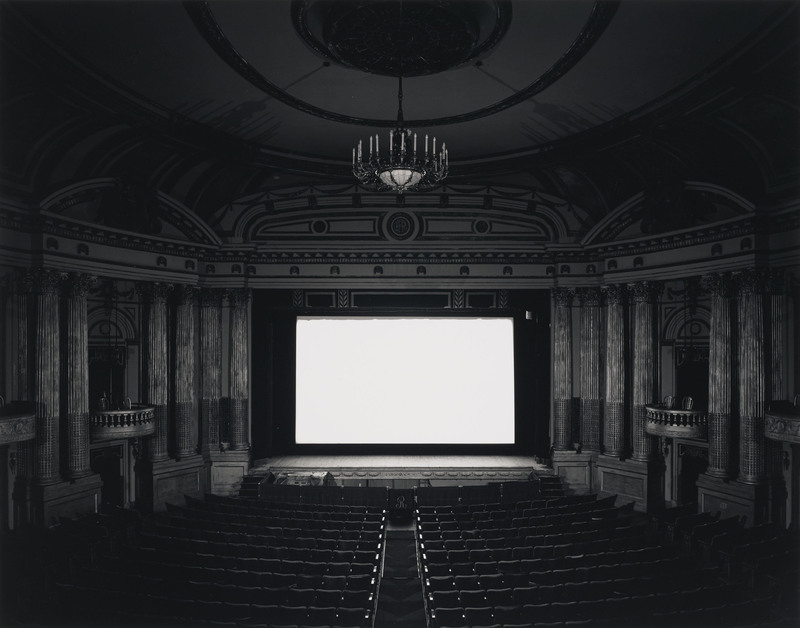 Sugimoto’s works aimed to create suspended states by changing the way time was represented and how individuals perceived it. 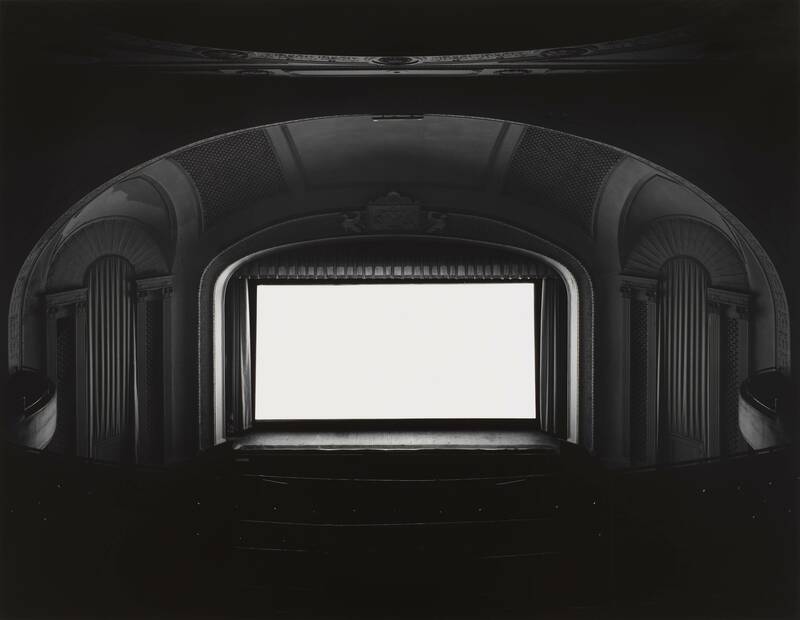 His photographs were designed to encourage the audience to observe the world from a different point of view by stimulating a focused attention on a single element. 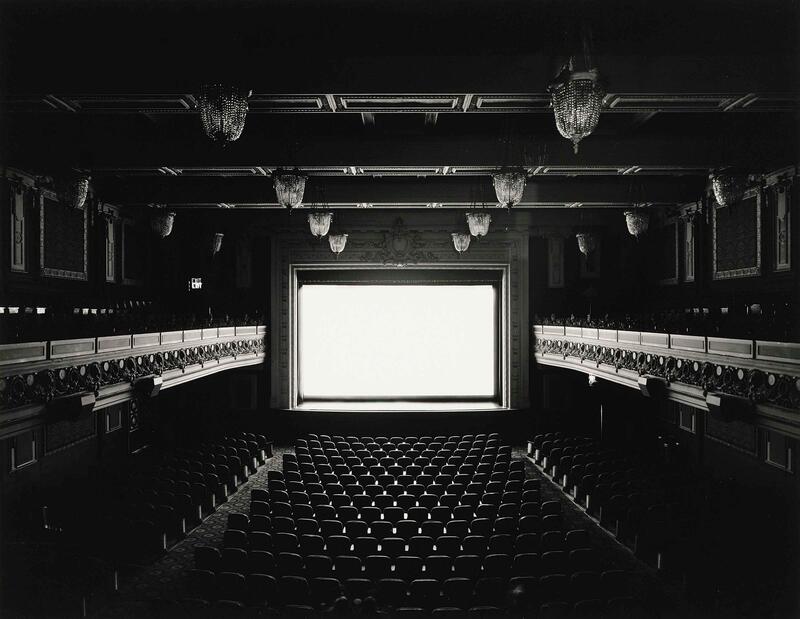 According to Sugimoto, the camera has the capacity to make elements that the naked eye cannot see such as time and the effects of space more visible. 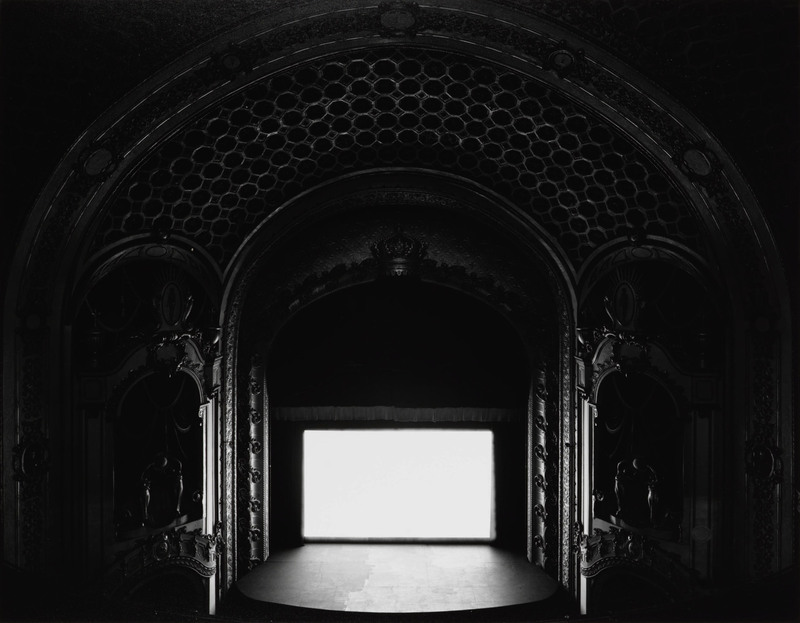 As such, the series helped to provoke vital questions regarding the link between time and photography, as well as the mysterious nature of human reality. 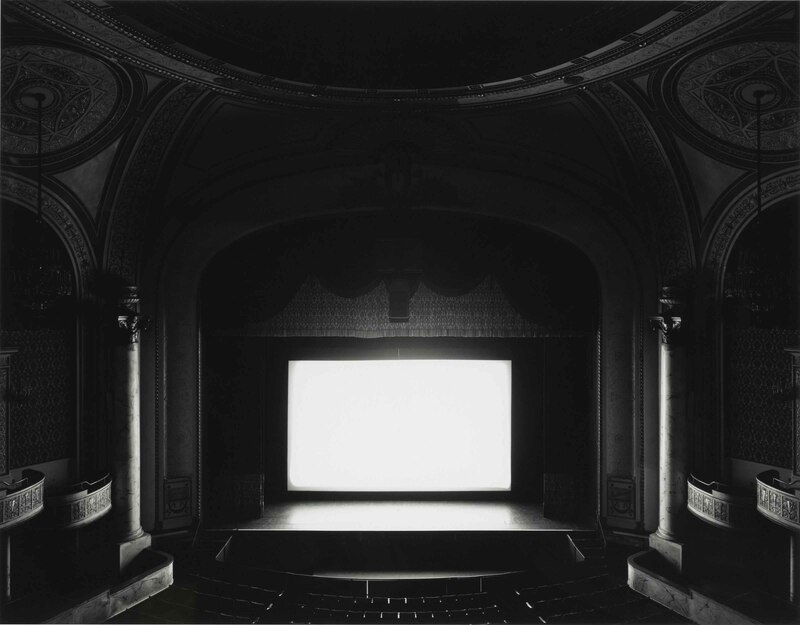 All images Hiroshi Sugimoto/sugimotohiroshi.com unless otherwise noted. 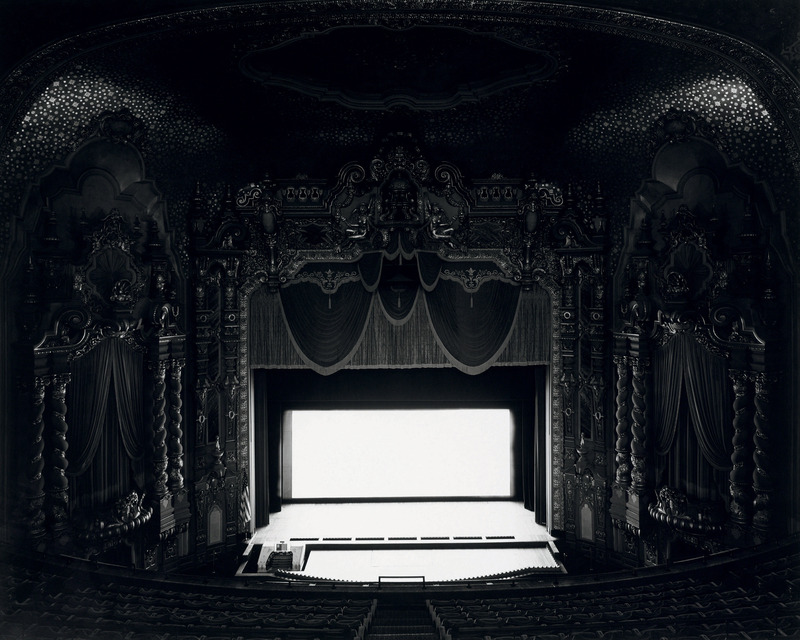 Posted on March 12, 2019	in the category Photography and tagged Art in New York, documentary, Hiroshi Sugimoto, photography.